You must be a member of the Manama Photography Group to attend this activity. Would you like to join this group? 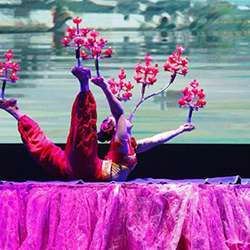 In collaboration with the Embassy of the People's Republic of China, the Bahrain Authority for Culture and Antiquities presents “Guangxi Acrobatic Troupe Co.”, established in Protected content known to be the most professional acrobatic performance group in Guangxi, China. For over 60 years, the Troupe has travelled and performed in over 40 countries and regions, and played vital roles in cultural exchange activities between China/Guangxi with foreign countries and regions. The Troupe has made a great contribution on developing Chinese national culture while improving the friendship between the Chinese and people all over the world. The acrobatic performance will include the Troupe’s incredible skills, innovation, literary and artistic creations.